Last week, I posted pictures from the few hours we spent in Birmingham while on our way to Florida. That same day, we also spent a short time in Montgomery.We toured the Dexter Parsonage, the home where Martin Luther King, Jr., and his family lived while he was a pastor at Dexter Avenue Baptist Church (now Dexter Avenue King Memorial Baptist Church) from 1954-1960. 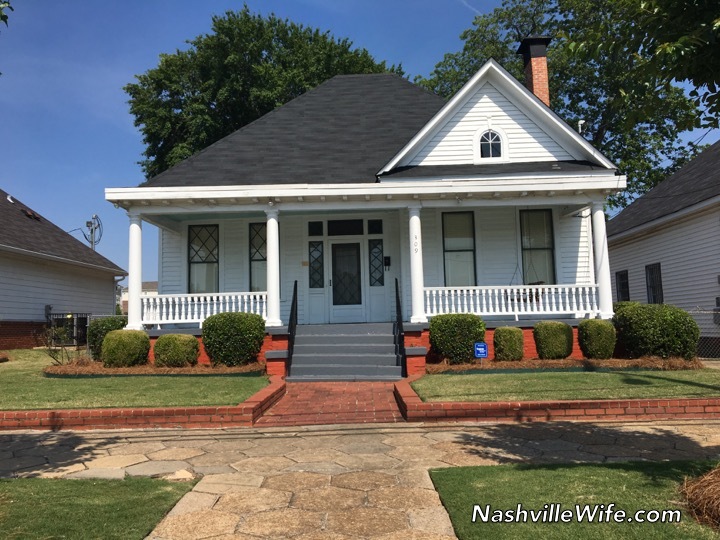 The parsonage housed pastors and their families from 1920-1992 and then sat vacant for 10 years before it was renovated to look as it did when it was home to MLK and his family. The foundation was even able to recover many of the pieces of furniture (and even the gas stove and Melmac dinnerware) used by the famous civil rights activist and his wife and children. We were honored to sit at MLK’s kitchen table and listen to the famous speech he gave shortly before his death. He spoke of the epiphany he had had at that very kitchen table, late at night on January 27th, 1956. Only 27 years old and the leader of the famous Montgomery Bus Boycott, MLK was receiving 30-40 death threats each day. On the night of January 27th, he was particular shaken by a caller who threatened to blow up his house if he didn’t leave town within three days. Frightened, MLK made himself a cup of coffee and sat down at the kitchen table. Praying earnestly, he heard the still, small voice of God instruct him to stand up for truth, justice, and righteousness. Almost every item in the home has significance, right down to the vase of artificial red carnations sitting on the kitchen table. In March 1968, MLK sent his wife, Coretta Scott King, an artificial bouquet of her favorite flowers, red carnations. Coretta, who usually received fresh flowers from her husband, asked him why he had sent fake ones, to which MLK responded that he had wanted to give her something she could have as a keepsake. Martin Luther King, Jr., was shot and killed just three weeks later in Memphis, Tennessee. Coretta cherished the flowers until her death in 2006. Just a few days later, a bomb exploded on the front porch and blew through the living room window. Goosebumps crept up my neck as the tour guide pointed out a gash in the concrete in front of the porch swing. After the tour, we were thrilled to meet Vera Harris, a lovely woman in her 90s who has lived down the street since MLK and his family resided in the parsonage. 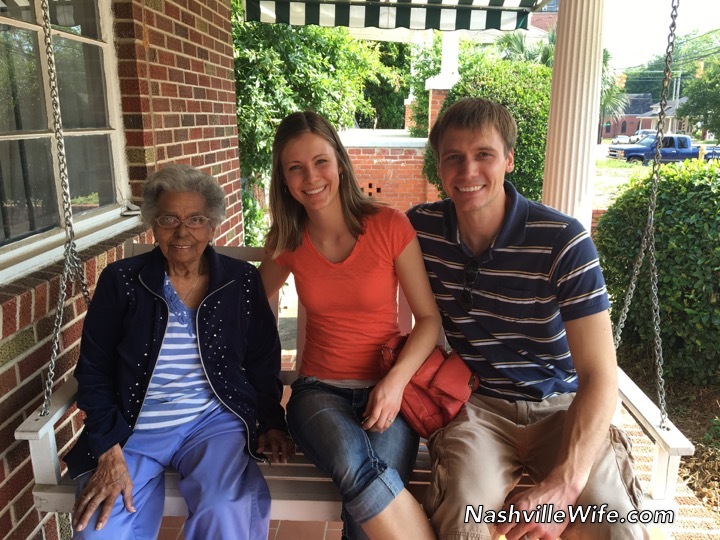 Her husband was a Tuskegee airman, and the two of them housed freedom riders in their home. Vera enjoys sitting on her front porch and greeting tourists. She gave us both a hug and held our hands as she asked where we were from and what brought us to Montgomery. Before we left, her daughter had us sign a guest book. We also learned that there is a barber shop just down the street where Nelson Malden, who gave Martin Luther King, Jr., his first haircut when he moved into the parsonage and his last haircut before he died, still cuts hair a couple days a week. 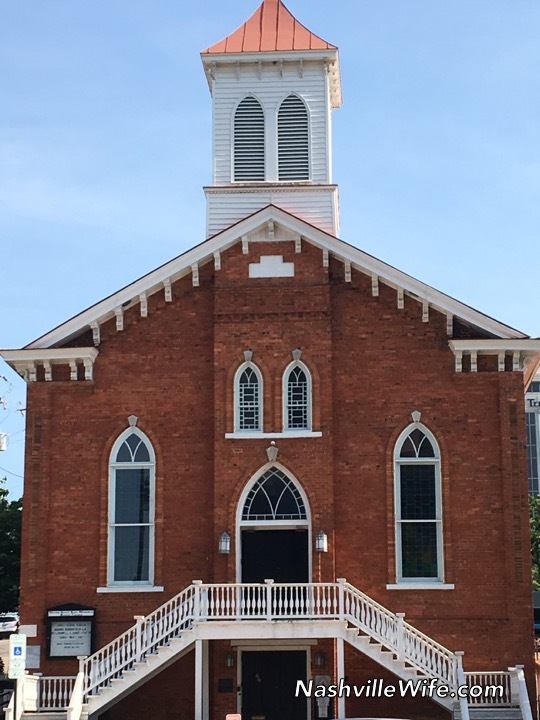 Before leaving town, we stopped by the Dexter Avenue King Memorial Baptist Church. Unfortunately, it was closed, but we filmed a short vlog (below). If you ever have a chance to visit Montgomery, be sure to visit the many sites of the Civil Rights Movement. The city truly is bursting with rich history! Oh what a wonderful tour!! My husband and I love Historical things like this!! You also got some special pictures. Thank you for sharing. If we are ever in that area we will have check it out for ourselves. I highly recommend it. We arrived at the MLK house at the very end of the day and almost didn't do the tour, but we're so glad we did. What are some of your favorite historical sites? This is so very interesting Ellie. What an amazing opportunity and tour. We still need to stand for truth, justice and righteuosness. Unfortunately, so many of us have differing interpretations of what that means. We all think our way is right. Thank you for this well-written account of a very interesting tour. This is the best post I've read on your blog to date. Truly very educational, well thought-out​, and brings attention to a very important part of history. I hope you write more like this! I'm glad to hear that. Although it was a quick stop, our little trip to Montgomery was incredibly enlightening. This was an interesting post. Thank you for taking the time to explain everything and post your pictures and video. It is awful how the people were terrorised and denied the right to enjoy living and having the basic lifestyle others were free to have. It is evident that the museum continues to juxtapose the goodness with the evil and show how the people were horribly mistreated there then. It is scary that we are capable of doing this as a matter of cultural influence and become OK with it even when going to our own churches while they go to theirs. Also thank you for sharing the honor of MLK courageousness and ultimate sacrifice to do what was right in this very prejudiced situation. My pleasure. 🙂 In my opinion, MLK is one of the most heroic men in history. Even though I studied him in school as a kid, I learned so much more on this tour about his accomplishments and who he was as a person. 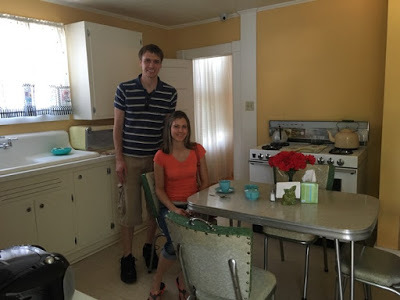 How amazing to be sitting in MLK's kitchen?! I lived through that era and remember the unrest. It was scary, as a young girl who didn't fully understand what was happening or why. I remember (black and white) news every night showing people getting hurt and police with dogs and hoses and batons. Very good post, especially at a time when rights are being strained again. What did we learn from the past? Was all that killing necessary? (No.) You can't pledge allegiance to liberty and justice for all, then want to take away rights in the next breath. These things should be peacefully granted to all. May I ask what state you lived in during the civil rights movement? Based on the films I have seen, it seems like it was a very frightening time period. But that speaks to MLK's courage all the more. Wow, great post, Ellie! I would love to visit this if I ever get a chance! Thank you! I highly recommend it. Thank you Ellie for sharing your experience with us. I can't imagine what it must have been like back then. What a neat lady you met. In my 56 years of living, I have only had a few problems with racism. The worst and most frightening was a few years ago I walking home from work. The 101 freeway ran parallel to the road I was on. some guys yelled from the freeway some names that is not fit for that is not fit for a family blog. It was frightening because I thought they were going to exit the freeway and come after me. I'll never forget that. You know I wonder about people back then who lived in the South who were not white or black. Which drinking fountains,swimming pools etc did they have to use? Could they eat at a "white only" resturant? I've always wondered about that. Regina, I suggest you research the history of Jim Crow laws, and also the use of turbans for passing as being from somewhere in the Eastern Hemisphere (often India). There are excellent articles by NPR an Frontline on these topics (look up the Rev. Jesse Routte) that explain much more than we could go into here. Thank you Anon. I will do that. That sounds very frightening, Regina! And that's a good question! Would be interested to hear the answer to that. My husband and I take these kinds of vacations too. I've always felt lucky to have married someone with similar traveling interests–certainly not a necessity, but a really nice bonus. What are some of your favorite places you have visited, Amy? Wow, that looks like such an amazing tour. And Ms. Vera sounds like someone I'd want to sit down and have a long conversation with. What a neat experience! It was a very neat experience! She loves meeting tourists, so if you ever get the chance to go to Montgomery, I would highly recommend it. Prejudice, then or now, isn't pretty. I'm glad someone was brave enough to stand up against it, and sorry that it cost him his life. It's great that they preserved this home so closely to the original and have it open to the public as a reminder of those fretful days and what Dr. King helped achieve. Yes, I agree. Earlier this year, we visited Memphis and stopped by the memorial at the hotel where MLK was shot. A very humbling experience. Thank you for sharing this post. We felt as if we were on the tour with you and your husband. Martin Luther King Jr. was a man of peace. God Bless. My pleasure. God Bless you! This is a great post. The Civil Rights Museum is amazing and very thought-provoking. Judging from the date posted here, I take it you did not attend JoyAnna's wedding? 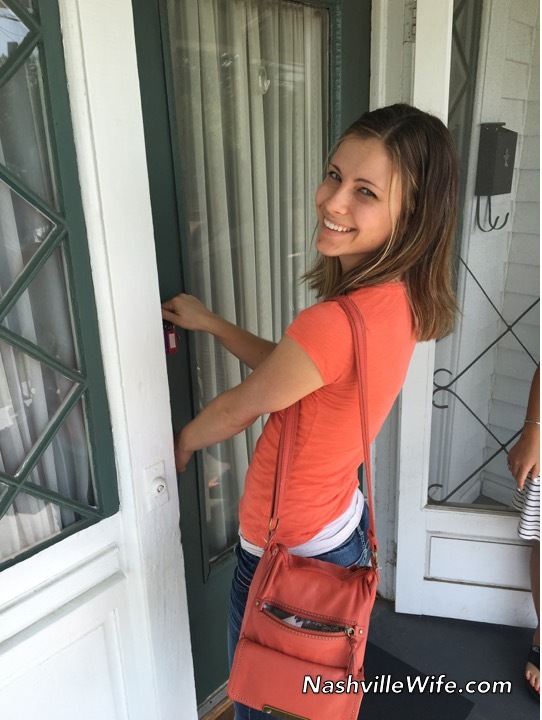 Elli, it is awesome that you and your husband choose to take these educational, meaningful trips when you have the chance to get away. We always took a vacation, before and after we had children, that would help us learn and understand something new. And we had fun too. I am sure when you have children you will be every bit as diligent about helping them appreciate all that is around them. Thank you. It's great to have time with just the two of us, and I look forward to the days when we are able to share these experiences with our kids. Sometimes it seems as though our society is losing interest in meaningful trips, which is sad. I'm glad you enjoyed it, Tanya! It was a huge blessing and honor to tour his house and sit at his kitchen table. What an interesting post. Thanks for sharing this. Thanks for sharing this Ellie. I didn't realize that the King home was restored and offering tours. Glad you all enjoyed your visit. My mother grew up there, and was a teenager during the Civil Rights Movement.